This is what the founders of Beit Theresienstadt, the survivors of the Theresienstadt ghetto, wrote in the founding charter of the establishment. The memorial room, which was initially built attached with an archive, has grown over the years into an educational center and museum. Unique exhibitions were added based on original exhibits from the establishment’s archive. 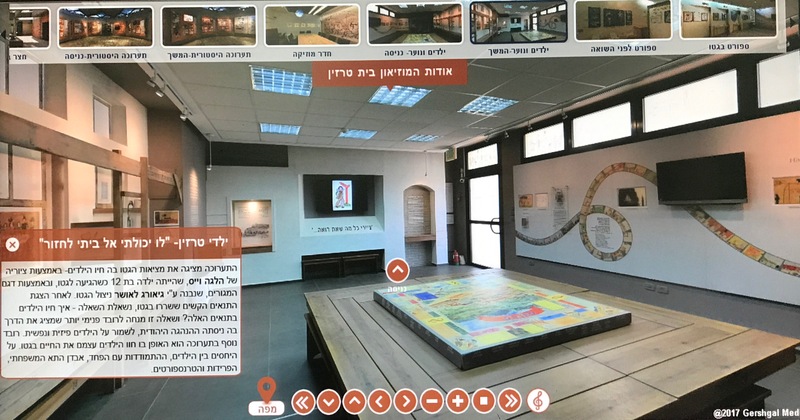 The exhibitions present the life in the ghetto, the tremendous effort of the Jewish leadership to educate and rescue children and to maintain a cultural and sports routine within the impossible reality of the transports to the East, German propaganda and more. The Beit Theresienstadt Archive exhibits items from the ghetto period: paintings, art objects, personal effects and documents, as well as a list of the names of Jews who passed through the ghetto. The archive and library are open to the general public. The educational center offers activities for school students, soldiers and members of the security services, university students and adults. The establishment conducts various events and cooperations with entities from Israel and abroad.